It’s been three years that war photographer Isabelle Reed (Isabelle Huppert) died in a car crash. An upcoming exhibition of her work that will come with an article by her colleague and friend Richard Weissman (David Strathairn) in which he will out her death as a suicide, brings the unresolved tension her death caused in the Reed family to the foreground again: her widower Gene is struggling with rebuilding his life, but especially with his relationship with his sons: his younger son Conrad (Devin Druid) is withdrawn and doesn’t know that his mother most likely killed herself. Gene’s older son Jonah (Jesse Eisenberg) comes to town to sort through his mother’s unpublished photos, also conveniently escaping his own life for a while. All three have very different opinions not only on what Isabelle was like, but also how they should deal with her death. 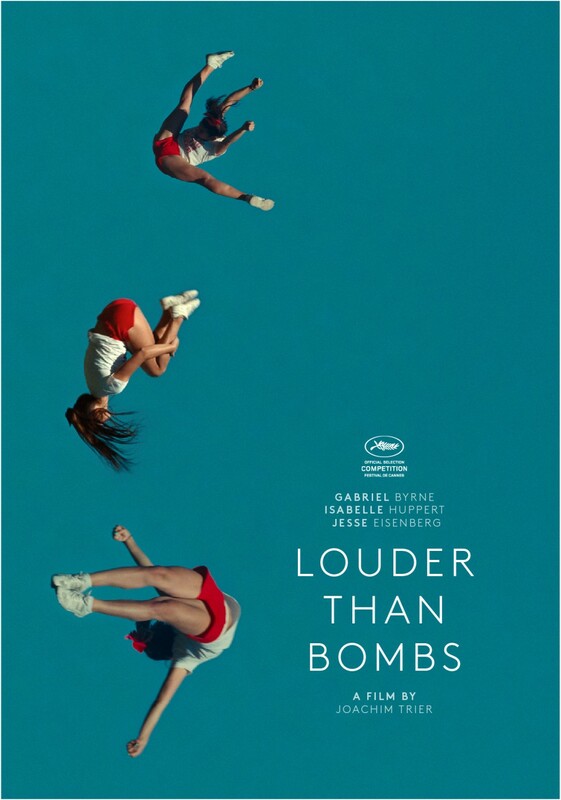 Louder than Bombs tries to be many things at once and maybe it tries a little too much. 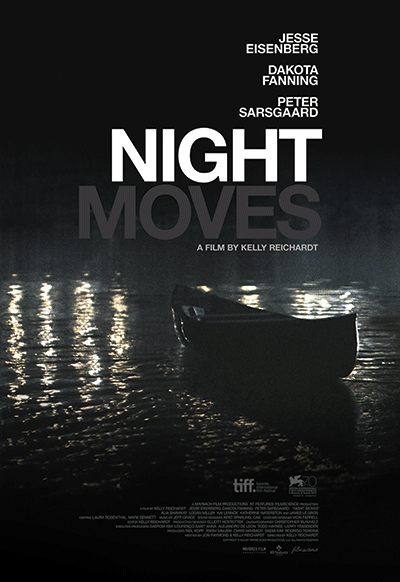 But even though there is a flightiness about it where it would have needed more decisiveness, it is an engaging film. David Lipsky (Jesse Eisenberg) is a writer. He just published his first novel, more or less at the same time that David Foster Wallace‘s (Jason Segel) Infinite Jest came out, against the backdrop of which Lipsky’s own novel disappears. Jealous he reads it and finds that the critics were right with their praise of Wallace’s novel. So Lipsky arranges for an interview with Wallace for Rolling Stone magazine. Wallace, notoriously publicity shy, agrees to have Lipsky trail him for a few days during the end of his book tour. 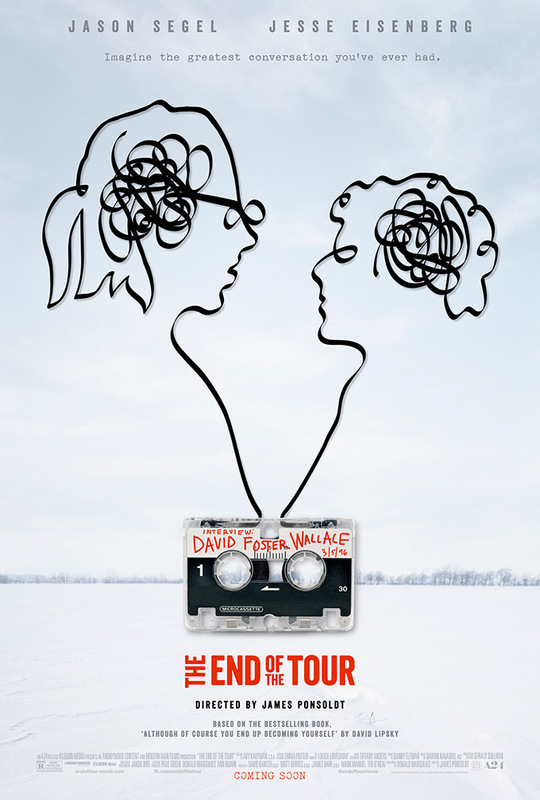 The End of the Tour may have occasional lengths, but for a film that is basically just an extended conversation between two people, it is incredibly engaging and well-made. 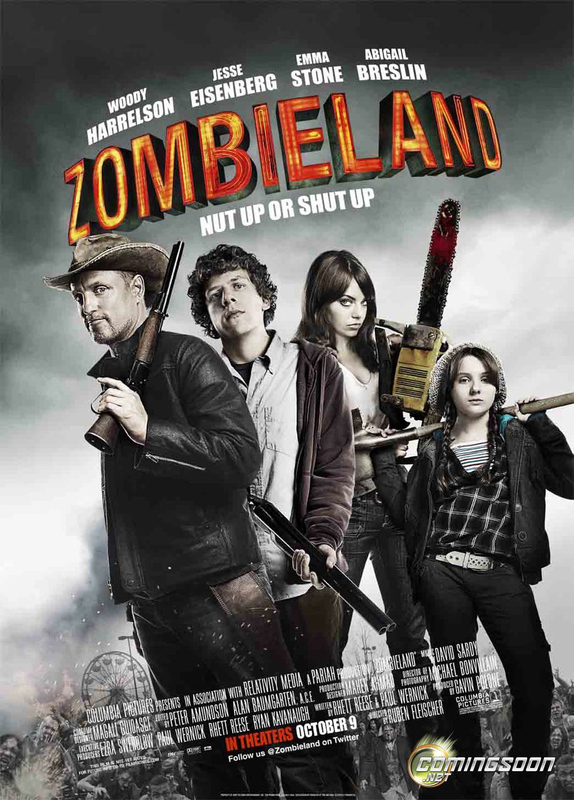 Zombieland is the first feature film by Ruben Fleischer, starring Jesse Eisenberg, Woody Harrelson, Emma Stone, Abigail Breslin and featuring a short cameo by Bill Murray. In the near future, there are barely any people left – most of them have been turned into zombies. Among the survivors are Columbus (Jesse Eisenberg) and Tallahassee (Woody Harrelson) who stumbled upon each other by chance and decided to stick together for a while, though the obsessive and anxious Columbus and the toughtalking, explosive Tallahassee don’t have much in common. When they run into Wichita (Emma Stone) and Little Rock (Abigail Breslin), the girls first rob them, but lateron, they throw their lot together, hoping to reach a place where they’re safe. Zombieland is an utterly charming movie*. 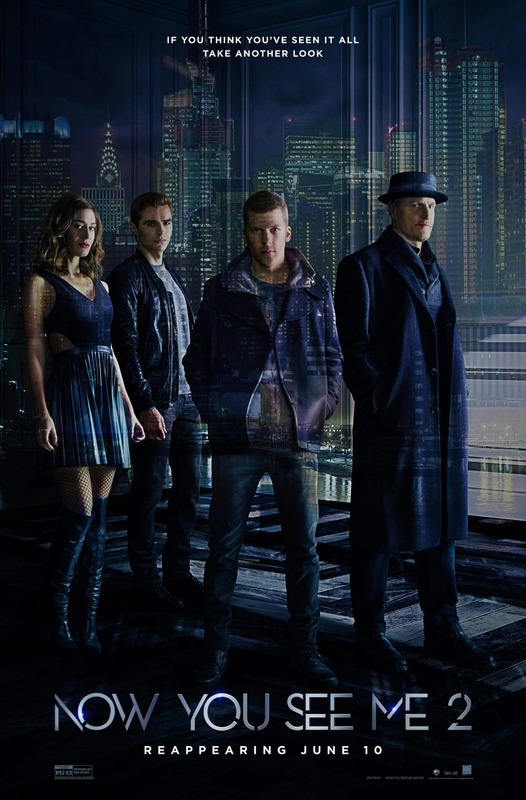 It has a fine sense of humor, moves along at a quick pace, has a very nice soundtrack and most of all, an excellent cast. 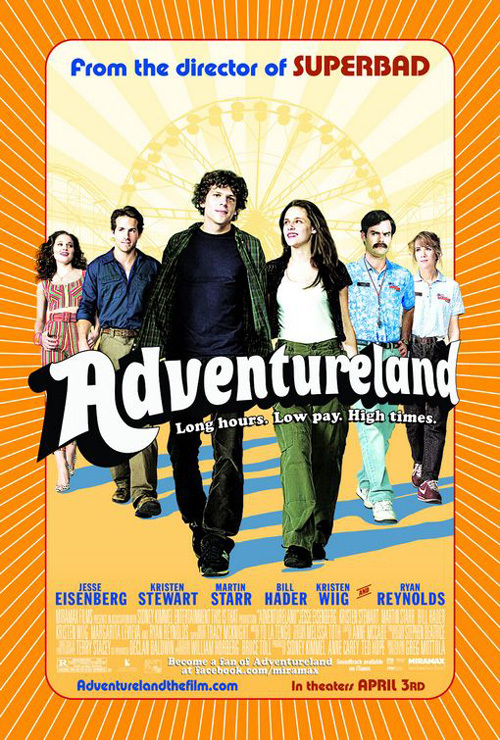 Adventureland is Greg Mottola‘s latest film, starring Jesse Eisenberg, Kristen Stewart, Bill Hader, Martin Starr, Matt Bush and Ryan Reynolds*. 1987. 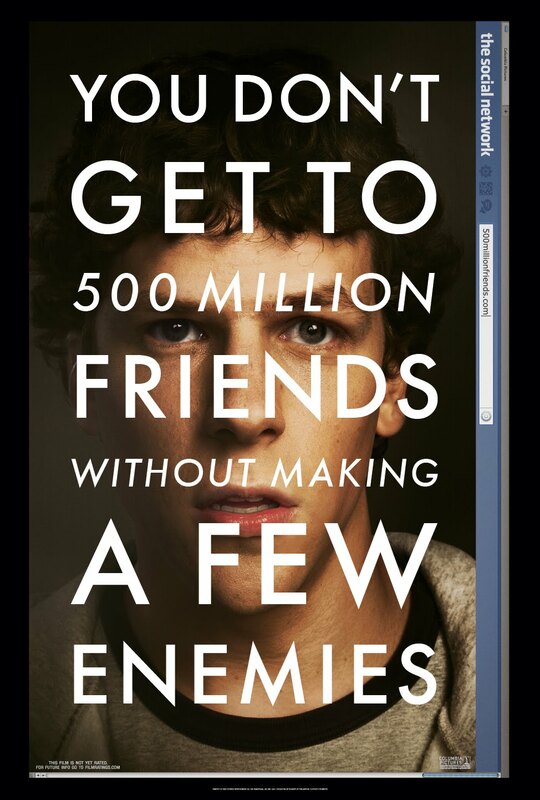 James (Jesse Eisenberg) has is life planned out: First, a trip to Europe with his best friend. Then university and becoming a journalist. Unfortunately that’s when his dad gets “transferred” and has suddenly less money. Which means that James not only can’t go to Europe but has to work to make to university at all. And since he has no work experience whatsoever, he ends up at Adventureland, a rather run-down amusement park where he meets not only new friends like Joel (Martin Starr), but also a new love in Em (Kristen Stewart). 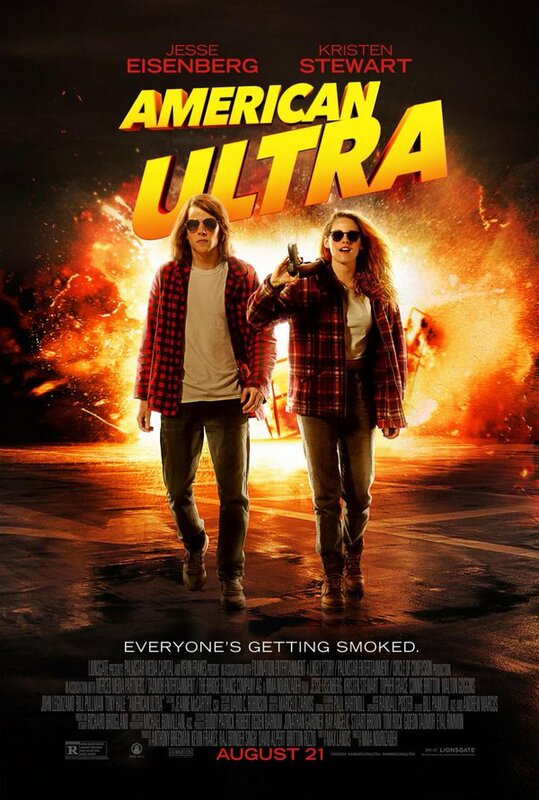 Since I’m often disappointed with Indie comedies, I didn’t expect much from Adventureland. But it was actually extremely sweet, funny and (least surprising) very well-acted. 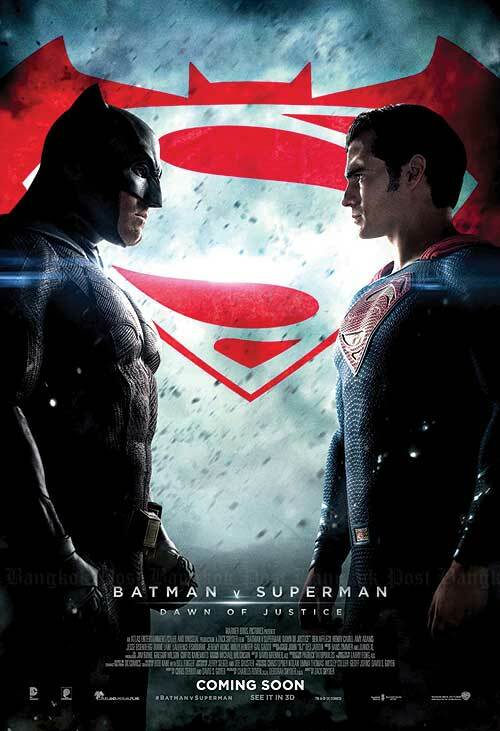 The script was wonderful and the movie is definitely a keeper.